With the Volkswagen Group’s line-up becoming ever more boring by the minute we’re going back to more interesting times, before dieselgate, greedy shareholders, and every customer needing a truck to take their kids to school. This is the original Beetle, commissioned by Hitler, designed by Ferdinand Porsche, and becoming the world’s most successful car design ever. This superb Model Team style Beetle comes from previous bloggee Lennart C, who has built one of the toughest cars to recreate from LEGO ever brilliantly, including a wonderfully detailed interior and an authentically replicated flat-4 engine. There’s more to see of Lennart’s beautiful bug via the link above, and you can see LEGO’s own officially-licensed Volkswagen Beetle set by clicking here. We’re back with a car (sort of), and one that’s been grossly overlooked by both the Lego and automotive communities. This is a Volkswagen T25/T3 ‘Autosleeper’, basically the 1980s version of VW’s Transporter camper. Thanks to being a bit square and not breaking down all the time, the T25/T3 Transporter has just a fraction of the following of its T2 predecessor, despite being better in every way and even featuring water-cooled engines so you could hear yourself think on the highway. This means that hippies aren’t interested in them and thus T25/T3s are far more affordable than their older brethren. Even more affordable still is this neat 5-wide Lego version by Flickr’s 1saac W, who has recreated the Autosleeper in late-’80s square-headlight configuration (the least cool of them all). There’s more to see of 1saac’s excellent 5-wide Volkswagen T25/T3 camper at his photostream, within which there’ll be no tie-die, smelly bong-water, or smelly hippies to be found anywhere! Take a look via the link above. Today, the day of American Independence, we remember what makes America great. It’s not its military, it’s not a flag, it’s not building walls, and it’s not all this stuff. What makes America great is – in this writer’s mind – the greatness of all the countries that have built it. The British, the Irish, the French, the Dutch, the Italians, the Russians, and later the countless arrivals from Africa, Asia, Central America and the Middle East. The same can be said for the greatest cars in history, products not just of their designer, but of a multitude of nations. Today we feature two, that without contributions from beyond their country of origin, would have been mere footnotes in automotive history. First up (above); Bugatti, who were founded by an Italian living France, and are now owned by the Germans. The gorgeous model pictured above is a Type 37A from 1928, when the French Bugatti factory built the world’s finest racing cars thanks to Italian design, and there’s more to see courtesy of Pixeljunkie on Flickr. Second (below); Volkswagen, who were rescued from the ashes of the Second World War by the British Army. In the 1950s the company expanded into Brasil, and have since built over 20 million vehicles there, starting with this – the Type 1 – in 1958, which became the best selling vehicle there for 24 years. The excellent homage to the Type 1 pictured below was suggested to us by a reader and comes courtesy of Ben of Flickr, who has built three variants of Volkswagen’s ever popular Transporter. Both of today’s vehicles, and countless more besides, have flourished thanks to the welcoming arms of nations found far from their origins. We believe America is great because it has allowed greatness to live within it, regardless of where that greatness may have come from. Happy Independence Day. The Volkswagen Karmann Ghia may have just been a Beetle in a pretty dress, but what a dress! 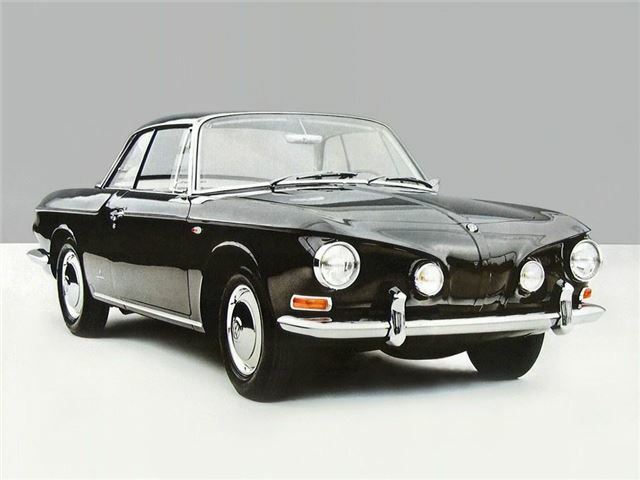 Penned by Italian design-house Ghia the car debuted in 1953 before going into production with German coach builders Karmann in ’55. A twenty year manufacturing run produced almost half-a-million Karmann Ghias, plus a few ultra-rare (and ultra-expensive) Type 34s. Sadly only Volkswagen seemed to profit from such success, as whist the Karmann Ghia was replaced by the very different – but equally iconic – Scirocco in 1974, Karmann filed for bankruptcy in 2009 whilst Ghia were purchased by Ford and ended up no more than a trim grade on Fiestas and Mondeos. We’ll remember their glory days, thanks to this brilliant 1960s Volkswagen Karmann Ghia from previous bloggee Henrik Jensen. With working steering, a fully detailed interior and engine, and wonderfully accurate bodywork, Henrik’s model is a fitting tribute to one of the world’s most beautiful cars. We think it’d make a rather lovely official set too, seeing as LEGO have already produced the Volkswagen Beetle and Camper as part of their Creator line-up. There’s lots more to see of Henrik’s gorgeous Karmann Ghia at both Flickr and MOCpages – click on the links to see the full build details and all of the images. Volkswagen’s T1 camper gets all the glory. Bought by surfer types, middle-class hippies who don’t understand irony, and people who would like others to think that they’re a surfer or middle-class hippy, the VW camper has become one of world’s most popular cult vehicles. However it was the working varieties of the Volkswagen Transporter that allowed the camper to exist at all. Utility versions such as microbuses, panel vans, and this T1 crew cab made up of the bulk of production, and are now enjoying something of a resurgence in popularity thanks to the iconic camper which they spawned. Strange how things go in circles huh? This lovely Volkswagen Transporter crew cab comes from serial bloggee Senator Chinchilla, and there’s no surfboard or fake-rust patina in sight! Everything opens and there’s more to see at the Senator’s photostream – click here to take a look. *Today’s title song, selected because the band has Crew in the title. Sort of. ’80s cars are funny things. Worthless since about 1995, and without either the classic looks found before the ’70s or the rust-proofing of modern cars, they occupy of sort of automotive no-mans-land. This means that of probably any era of motoring, ’80s cars are the most endangered. If you think a McLaren F1 is rare try finding a Talbot Tagora. In our home nation there is just one example of his humble saloon left taxed on the roads. One. Thankfully there are a few more Mark 1 Golf GTIs left, but even these went through a near extinction phase. Fortunately Volkswagen’s original hot hatch is now rather sought-after and with so many scrapped in the 1990s and 2000s the surviving examples are rocketing in value, safeguarding the model’s existence. This lovely Model Team example of the an early ’80s Mark 1 GTI comes from Joe Perez (previously Mortal Swordsman) of Flickr, and it reminds us of why the original is such a well-regarded car. Beautifully clean lines (penned by Giorgetto Giugiaro), lightweight, and with just enough power to have fun, the original Golf GTI is the perfect antidote to today’s heavy, over-styled and ludicrously powerful yet un-involving hot hatches. Joe’s Model Team replica of the definitive ’80s hot hatch captures the iconic look brilliantly and we think it would make a rather good official set (LEGO have a license agreement with Volkswagen after all). There’s more to see of Joe’s 1980s Volkswagen Golf GTI at his photostream – click the link above and badger him to put it on LEGO Ideas. Flickr’s Pixel Fox has appeared here several times with his ever-growing assortment of off-road vehicles. His latest are these, a pair of wonderful Meyers Manx beach buggies. Designed by a Californian boat-builder named Bruce F. Meyers in the 1960s the Manx took a shortened Volkswagen Beetle chassis and running-gear and added a custom glass-fibre body. Around 6,000 Manxes were built between 1965 and ’71 and the design dominated dune racing, despite the lowly Beetle engine power. The B. F. Meyers & Co. company disbanded in 1971, by which point a wave of imitators had arisen. However the Meyers original is still held as the definition of the beach buggy and after several decades out of production a new Manx company formed in 1999, meaning you can still buy Meyers’ 1965 design today. Pixel Fox’s lovely mini-figure scale Meyers Manxes capture the real car brilliantly and there’s more to see of the Manx and his other excellent off-road vehicles at his photostream via the link above. Sariel’s latest creation sure looks tough to squash. Not so our Elves, who are famously easy to smush into the office carpet. It’s been a while since the last Elven flattening, but fear not readers – today Elf-on-Elf violence returned in a big way. With all-wheel-drive powered by two XL Motors geared for rock-crawling Sariel’s latest build wouldn’t normally be fast enough to claim any victims. Add in a third-party BuWizz battery and bluetooth receiver combo though, and up to eight times more power than LEGO’s own system can be delivered to the motors. The aggressively low gearing still caps the top speed at a lowly figure mind, but if an Elf were to quietly sneak out of the cage room while its colleagues were seated around the old TV watching Transformers cartoons, and return at the controls of this, there really wouldn’t be much chance of escape. Sigh. We now have some clearing up to do and a jubilant Elf needs a meal token reward (not for the smushing, just the find), so we’ll hand you over to Sariel’s photostream for all the photos. Click the link to take a look at his monster bug. Dour grey, hard working, utilitarian… not words you’d usually use to describe a 1960s Volkswagen Transporter. Bought as the default vehicle by trendy hippy types looking to be individual (which is gloriously ironic), the VW Type 2 is typically a vibrant and colourful affair used to ferry people to posh festivals. However this Volkswagen T2 ‘Doka’ by Jonathan Elliott is the very antithesis of the classic Transporter’s normal role in modern Western society, and for that we absolutely love it. There’s more to see of Jonathan’s 6-wide Volkswagen T2 pick-up at his photostream – click the link above to check it out. There are not many things cooler than a Volkswagen Beetle hot rod. This one comes from Serge S of Flickr, and he’s made instructions available too. Click the link above to see more.